I love Terry Pratchett. I think I have read this one! I have read so many of this that they have blurred into one big multicoloured glob. I love them! But it gets a bit hard to remember which book is connected to which memory/event. 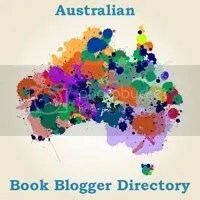 I came across Teaser Tuesday on another blog I follow, Reading Adventures and decided I could do that too, it helps to give some structure to my blog. She does some good stuff. I think Terry Pratchett is just great. Reviewing them here for the 2010 Terry Pratchett Reading Challenge means I’m remembering more about them. I’ve been a bit slack and haven’t signed up for the Discworld Convention next year but I’m told they’re saving a spot for me. I might go dressed as Moist von Lipvig or just a generic witch. I posted teasers from Pratchett this week too, although I couldn’t choose just one, or limit it to just two sentences! I don’t think Terry Pratchett would mind too much! I just read your teasers and left a message. I really did like what you did. That’s a good one. I haven’t read Pratchett yet. Here’s my teaser from The Duke of Shadows. Thanks for that link, Lady Q. Very nice, I like the writing. Sounds like my kind of read. I like the tense in that teaser. Oooh, that almost makes me want to read it. It’s a good teaser as I’m not excited by The X-Files. Oh, you really shouldn’t resist Neil Gaiman 🙂 From the 4 books I’ve read by him, Anansi Boys is my #1 favorite, although 3 of those 4 books are my favorites 😉 I’ve actually never read anything by Terry Pratchett, although I’ve started Good Omens & it’s hilarious! I’m trying to resist new authors. I have nothing against new authors but I’m really struggling to get through my to be read pile, whenever I make some inroads more books come in and the pile goes up instead of down. There aren’t enough hours in the day for reading. You’re only the 2nd Pratchett tease I’ve read, and it wasn’t the same book, so don’t feel bad! 🙂 My teaser is at The Crowded Leaf. I don’t feel bad, I was quite amused by it. Your teaser is certainly intriguing. It’s got me thinking about another type of meme. I’ve never heard of Diggers. Happy reading. Mine’s from Devil to Pay, a book I wrote. I’ll be reviewing Diggers in due course, I just want to read the final book in the series before I review them all at once.